Halomonas titanicae is a new bacteria found on the rusting hull of the Titanic. 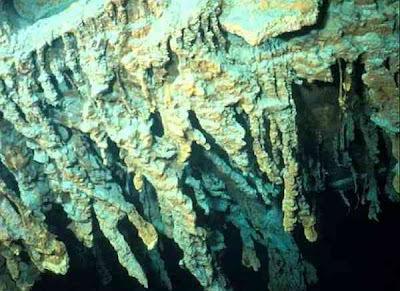 It creates mounds of corrosion, or rusticles, and scientists hope it can be used to deal with other ships at the bottom of the ocean. It was discovered in 2011.